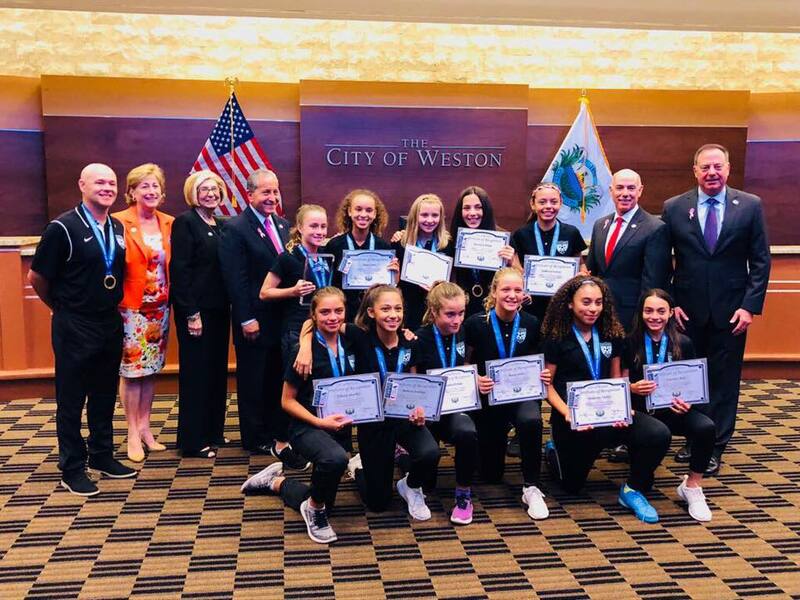 Weston FC Danone boys and girls being recognized by the City of Weston last night. 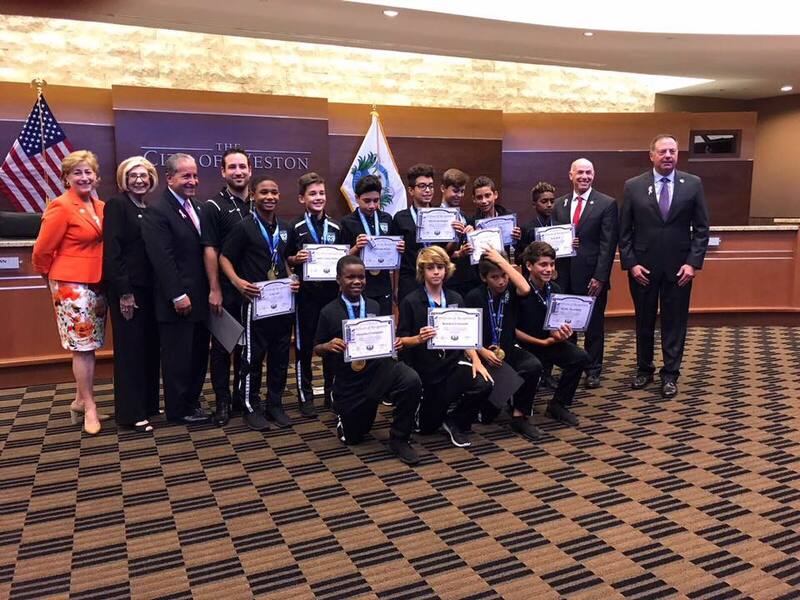 The Boys and Girls Weston FC Danone Cup Teams were brought into the City of Weston Mayors office this past week and were honored for their participation in this years national tournament in New York City. We are very proud of our Coaches Tim Miller and Javier Carillo. Go Weston FC. Thank you Mayor Daniel J. Stermer.